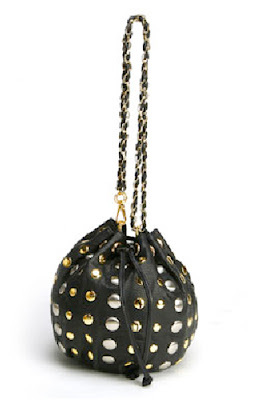 I think small round bags should make a come back, don,t you? This one is particularly awesome, it has both silver and gold accents! Hooray, it matches everything! Buy at Rumor for $106.